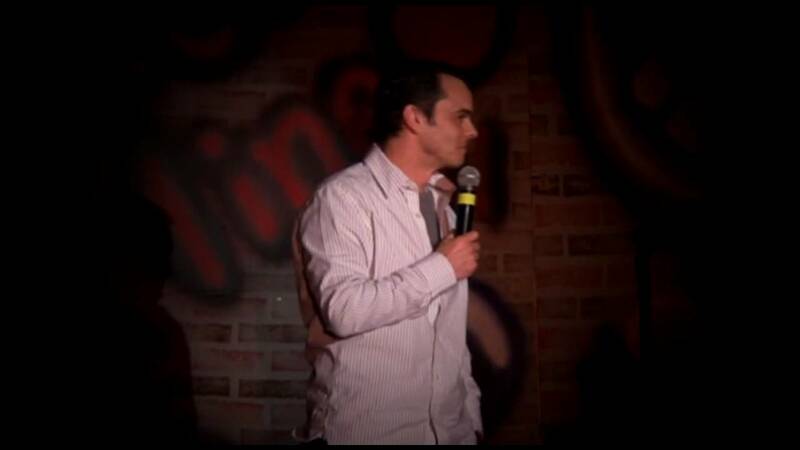 Dan has traveled the U.S. as a comedian, working with acts such as Jon Stewart, Rob Schneider, Kevin Nealon, SNL's Jay Pharoah, Sam Kinison, Steven Wright, and The Shirelles, and was also the host of the comedy game show "The Battle of Wits". Whatever the theme of your company, school, conference or church, Dan will deliver more than enough laughs to make your event a huge success. He will be coming back to campus! Dan was hired to present an uplifting comedic performance at my all-staff retreat. Dan really learned about the team and listened to the outcomes that I was hoping to obtain. He delivered everything and more! I am writing this review one month after his performance. During these past several weeks, I have had one-on-ones with my team of 50 staff members. The team's feedback on Dan's performance was so very positive and still resonated with them. We were blessed to have Dan be an alumnus to our University; he lived in the dorm that was right next to the building we were in, he told stories of his life on campus and incorporated his experiences here to the good work that my team was performing. Dan told the story of a Dining team member whom he still remembers today and how that relationship was more memorable than the names of his classmates. Dan brought such down to earth humor and matched it with uplifting words and stories for the team. I highly recommend... and have already... to anyone who needs someone with a comedic view to bridge the gap between teams and team members, bring up staff morale, get geared up for a new project or season, or just need some comic relief; you need to hire Dan. Through his comedy, he was able to teach, inspire, and uplift us. 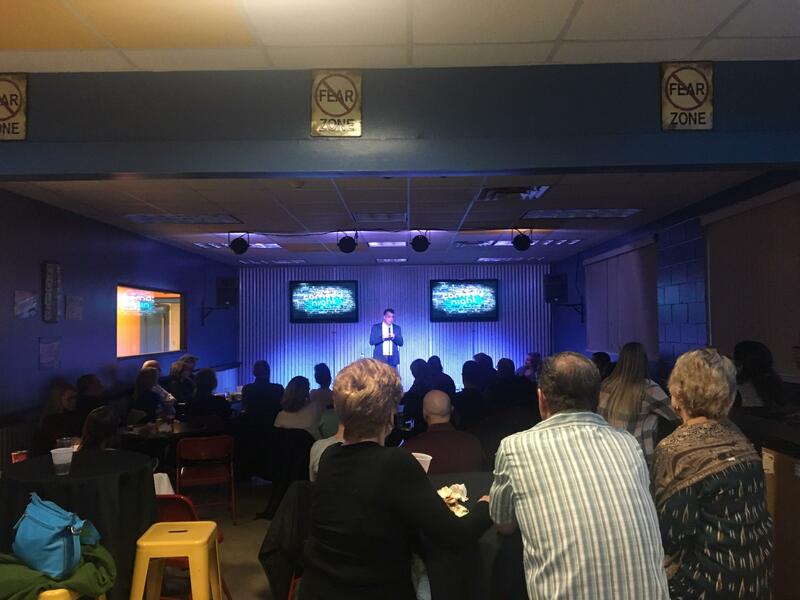 After hosting several fundraising events, our board of directors decided to add an extra touch of "fun" this year, and someone suggested a stand-up comedian. Given the group with whom we work (grieving children and teens), we had our cautions, but we knew we wanted to find the perfect balance during the evening of tears, comedy and goofiness. With Dan's professionalism, clean and hysterical act, and his attention to our audience and needs, he was a home run. No, a grand slam. I honestly thought my cousin, who was sitting behind me, was going to fall off his chair at one point. I asked a few people after the event, "What did think of the comedian?" A few responses: "Awesome." "Hysterical." "He nailed it. Thanks for an amazing night out." We all needed a night out, and many, many thanks to Dan for providing us with the laughter, kindness and enthusiasm for our organization. If there was the option to select "six stars" on a five-star scale, that's where I'd be at. Personable, Creative, and Brilliantly Funny! I hired Dan for entertainment at my husband's surprise 50th birthday party. Dan was ultra friendly and courteous from the very beginning of our planning stages all the way through the event and into the follow-up with my guests. Dan receptively took information that I shared with him and most creatively worked it so well into his 30 minute set that actually went just over 40 minutes! He worked it!! He was animated and hysterical while engaging and interacting with his audience. We had a range of ages that wholeheartedly belly-laughed through his thought provoking, intelligent humor! We loved the way Dan adapted his jokes to accommodate the many teachers in the audience. He was a perfect fit for our guests and I highly, without any reservations, recommend him for your next event, especially if you are looking for fun! He is super smart and ultra-talented; a real gift to offer a lift!! Truly, I can't say enough. He made my husband's birthday spectacular, which set the tone for the rest of the night. Book him! You won't be disappointed! Dan was so easy to work with. He came in and mingled with everybody with ease and then gave an awesome night that had everyone laughing. His comedy engaged and touched all ages and stages. From the moment he stepped in the door he was part of the group and made the night a great success. I highly recommend him for your next event! 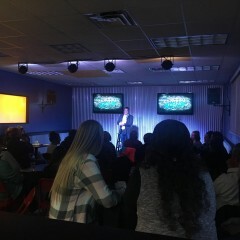 We had Dan come out to our small church for a comedy night. He brought a friend of his who is a comedian also, and performed a 90 minute show. They both kept it clean and funny, and we received only good feedback from all that attended. 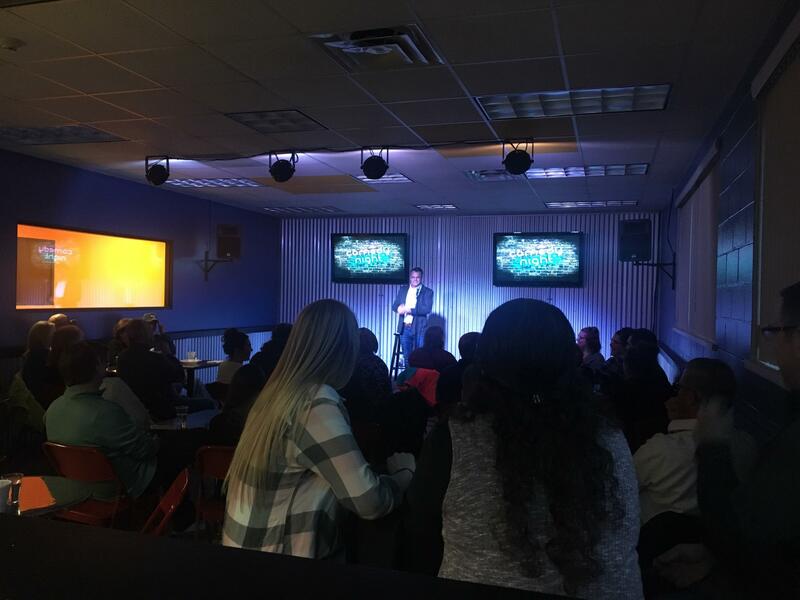 The comedy topics were easy to relate to and appropriate to all age groups and touched base on faith as well. 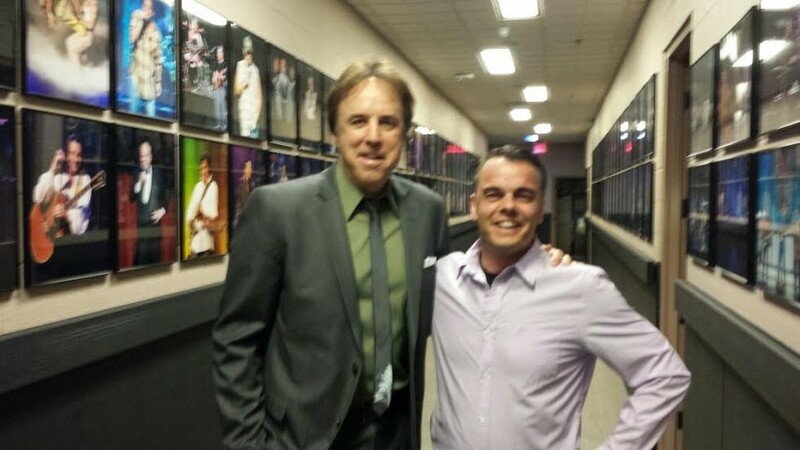 Dan was easy to be in contact with, answered all questions asked of him, arrived early to the show that night and had a polite and engaging personality. We hired Dan for a Corporate Event last week and he was fantastic! He worked with us to ensure his skit incorporated some acronyms and company information that pertained to our employees which made it very relatable to them. He was on-time and made sure he was properly dressed for the occasion and was very easy to work with. We had roughly around 150 guests and I did not hear one bad review from anyone. They all really enjoyed him and said they couldn't stop laughing. Dan was just what our event needed to lighten the mood and fill the room with laughter. I highly recommend Dan for anyone looking to hire a clean, professional and quite frankly hilarious comedian! The City of Port Colborne had the pleasure of being entertained by Dan Viola at our Safety Awards Night! Dan was easy to work with, he became familiar with the crowd before the event and was punctual to ensure I had one less thing to worry about that evening. Dan was funny and entertaining! He connected with the crowd during the event and evening, just making the night memorable! Dan spoke during our Sunday morning worship gathering. He was clean, appropriate, funny and connected well with the congregation. Dan worked with us to prepare material that fit our audience, and objective for a Sunday service. He was a pleasure to work with and I recommend him highly. Yes, really! I hired Dan for an out of town rehearsal dinner. He knew in advance, even though we were a Christian audience, he had his work cut out for him. Dan was right on time. He gathered as much information as he could - discreetly - about our two families (before and after he arrived) and the soon to be Mr. & Mrs. I will be honest...there was a lot skepticism on my part. His performance carried the weight of either making or breaking the entire event. I was impressed that he knew how to read his audience and change direction accordingly. He spoke clearly and the timing of his delivery was spot-on. Three days after the rehearsal dinner, while we checked out of the hotel, our dinner guests were still commenting on Dan and his outstanding, hilarious performance...and asking for his contact info. Yes, he was REALLY that good! Dan Viola & Vinnie excel at the 88th Annual MEUA Conference. Dan & Vinnie did a fantastic job entertaining our annual conference attendees. Good, clean comedy that had everyone laughing. Would recommend them both as they work well with each other. Just what we were hoping for when we booked them. Dan Viola entertained our members! Dan's content was both amusing and appropriate for our event. Dan was exceptional and absolutely wonderful to work with. We talked a few weeks before the event to finalize points he should hit and to adapt his hilarious comedy to our organization. He was met with a few technical difficulties by the venue (all out of his control), and he powered through it. At times, he was making so much of an effort, his voice was cracking... a true professional. Afterwards, he blended right in with our group and mingled afterwards to make sure everything went well. He was a pleasure to have at our event, and we will definitely be seeing him again. Dan did a great job entertaining our guest. He arrived early to get to know our group as well as stayed after the show speaking with some of our guest. The show was very clean and humorous. Dan was Great thru the whole process. Last night's show was perfect. He adapted to the crowd age and was very funny. Tons of laughs, material relatable, current and smart! We booked Dan for a professional holiday party this month, and he did not disappoint! Our entire group of 50-60 people (all different age groups) were laughing throughout the night. Dan had a great sense of keeping things rolling and understanding the audience. He was the only comedian for the night so the pressure was on and he nailed it!! He was great to work with during the booking process, did everything he promised and is a great guy besides! I would highly recommend Dan to any group or venue. Dan was wonderful, he was very professional and put on a great show! He also helped find an opening act Steven Rogers. Both Dan and Steven were very funny! Would highly recommend him as a headliner for any comedy show! Steven is a great Comdian as well.. also would highly recommend him! Dan did great and had the whole crowd laughing! Would defiantly recommend him for your event! Dan made our Christmas party a huge success!!! Dan was our entertainment and our company really enjoyed the laughs he provided. We asked him to roast the officers of our company and he was able to do that in a clean way. 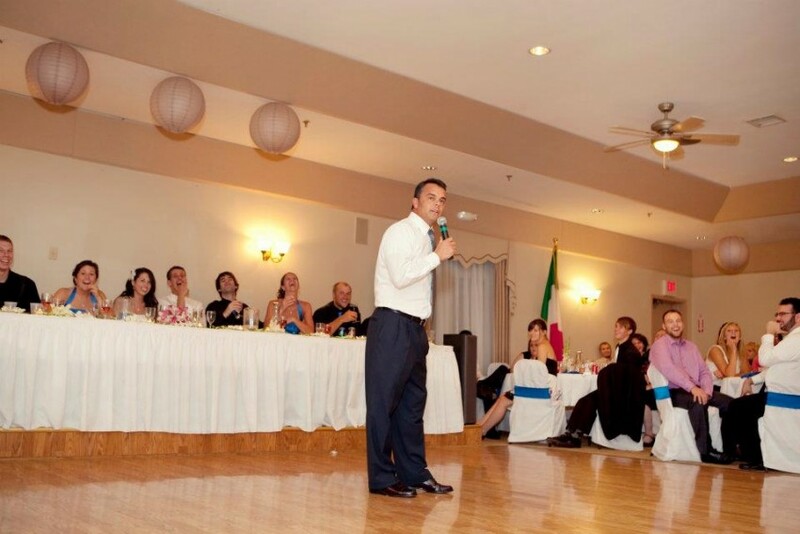 His comedy is clean and perfect for any business or corporate events. His energy had everyone engaged. I highly recommend!!! Dan was awesome. He was able to appeal to every age group in the crowd and had us all rolling. His ability to relate his material to our group of Engineers and their spouses was outstanding and he read his audience flawlessly. 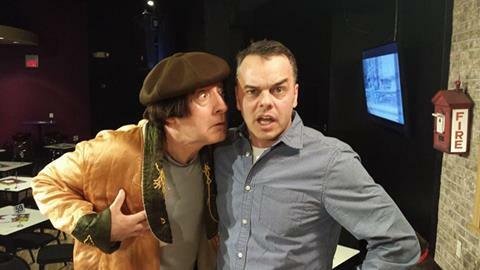 Dan Viola will definitely be my first choice for another comedy event. We could not have been more pleased. Dan was very funny. His material was good and appropriate for the audience we had. Dan was a real joy to have entertain at our family/friends Halloween party. He was well received & praised long after he left. His family-friendly comedy was much appreciated. He was personable & easy to do business with. I'd recommend him highly! Dan performed at our recent Doctor Donor Party and knocked it out of the park. His content was appropriate and he captivated and engaged the audience. Our theme was SMILE and everyone was smiling the entire time he was performing - even the doctors who are often difficult to make laugh. He is a very bright and gentle man - witty and very energetic. His delivery was flawless and he was able to weave in many medical terms and situations in his impromptu style. He mingled with guests before and after his performance and I don't think we have ever had more compliments from our guests- they loved him. We would invite him back in a minute. Dan was a cool and humorous addition to our wedding celebration. Thank you Dan, and Thank you Gigsalad for facilitating that. Hello, I am the Owner of the Cabaret at Studio B. In our venue I am always looking for diversity to draw a wide variety of guest. Dan was the first comedian to perform at the cabaret. Although Dan is well established he was a new face to us. I was thrilled to feature him July 23rd in a cameo performance at my show. It was then I realized we had someone special on our stage. In the short 5 minute spotlight he had the audience eating out of the palm of his hand. Prior to entering the stage, he visited with guest in our audience. From here he assessed our audience, learned of our Albion culture and even remembered our names. A great move to know what would relate to the people in front of him. When introduced to the stage he nailed it putting everyone at ease with tasteful but relatable humor. August 20th he was greeted by a warm audience eager to see what he would do. Well, as I said above, he delivered a solid show filled with material everyone could relate to, delivered in the “Viola” way. A way I would describe as energetic, fast paced and most of all funny. “When is he coming back?” was repeated many times by this receptive audience. I would highly recommend hiring Dan Viola – he is a sure thing! Thanks Dan! Thanks for performing at our annual banquet. You did a great job adapting to the venue and also did a great job incorporating jokes to our audience. Everyone thought you were hilarious and you kept it clean which worked we'll with the wide range of ages at our event. I would be happy to recommend you and feel free to us me as a reference. From the booking and to the event, Dan was accessible and easy to work with. His performance was timely, clean and engaging. Outside of the performance, Dan was a nice, genuine person, and easy to work with. A blessing! Dan was great! Not only easy to work with but hilarious. Dan came to an event for a school fundraiser and knocked it out of the park. The audience was age range of 25-75 and he made everyone laugh. He was clean and funny. I would totally recommend him for your entertainment needs. Dan performed for about 70 people in a private setting for a surprise 70th birthday party. He was clever, engaging, clean and hysterical! The man did his homework and mixed in just enough information about the birthday girl and her family to make the performance very personal. We had a blast and I would recommend him in a heartbeat! My organization hired Dan for a fundraising event. He was very funny and had good clean comedy. I would highly recommend him. Clever, high energy, and a laugh out loud funny guy! Dan did a party for me and about 30 friends...all dudes...and he delivered. We were all celebrating my brothers first child, which made for some good laughs when Dan got in front of the crowd. He was personable and sharp with his delivery. The entire room enjoyed his comedic genius. Dan is a likable, easy to work with professional and we look forward to having him deliver an unforgettable performance in the future. He is a must see! We had an excellent experience with both Gig Salad and Dan Viola. Every aspect of the situation from the initial contact, negotiation, booking, actual event and follow up were great! Dan was very professional and entertained our staff of approximately 150 teachers and staff at our school year ending meeting. His humor was right on target for our audience and he was great to work with! 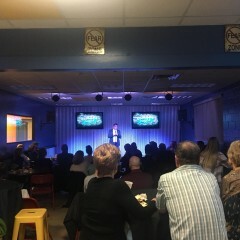 Dan did a great job designing his show to relate to our employees and our meetings theme, and kept his content appropriate for a corporate event. The employees loved it! More fun than herding cats!!! If you haven't seen a performance by Dan, you have missed a wonderful evening. His routine is timeless, energetic, family oriented and most importantly, HILARIOUS! Dan Viola is an absolute professional. He took the time to ask questions of the venue, who we are and what we do. With the information he learned about our clients and our company, he delivered an outstanding performance. Everyone truly enjoyed his act! We highly recommend Dan Viola to anyone who is looking for a smart, clean energetic comedian. Dan, you are truly the best. Thank you for a memorable evening for not only my company, but for our valuable clients. No matter who you hire, for your comedy event to be a success, all audience members need to be seated, and able to see and hear the comedian(s).